Do you want to stream movies or TV shows from internet? Purchase high quality and low priced media files via Lukup Player X. Bangalore based Lukup Media has recently launched Player X which is a new concept in India. Piracy is a big issue in India. Majority of people in the country download pirated movies, songs and TV shows despite it being a crime. In western countries, the scenario is different. Amazon Prime, iTunes, Netflix and Hulu are some common video streaming service providers there and people prefer to use their services to buy online content. They not only offer good quality content but also cheap pricing. Such services are yet not available in India. Now, the good news is that Bangalore based Lukup Media has recently launched Lukup Player X and Lukup Player S for video streaming. To watch high quality videos, you need to purchase this player and then pay for your officially licensed content. Payment can be made monthly by subscribing for a content-package or it can be made in advance for each view. The Lukup Player X is more expensive than the Player S as it supports multi-screen sharing. The concept itself is very exciting. The player has a 3.5-inch touch screen with 320x480-pixel resolution. Above the screen, you can spot an IR emitter which controls the set-top box. Below the screen, there are Menu, Back, Up and Down buttons. On the rear, there is a dock which holds all connectivity options. There is Ethernet for internet modem, two HDMI ports, DIN-style breakouts for AV in & out, the power inlet and one USB port. Component cables are also provided so that users can string the player between their television sets and DTH set top boxes. It also has a base on which you can place the device. The player has an in-built magnet due to which it stands upright when put on its base. On the interface, you will find all channels of the Live TV service as well as exclusive video-on-demand (VoD) channels by Lukup. The VoD channels are subscription based (costing Rs.25-120 per month) and include Primetime ON, Bollywood ON, Chowtime ON and XSports ON. There are also some interesting Hollywood films prices of which range from Rs.65 to Rs.200. This is quite affordable. For example, the complete Superman movie series can be bought for just Rs.200. Bollywood movies collection is comparatively small. The Lukup Player X costs Rs.12000. 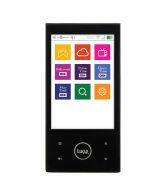 If you plan to buy the less expensive model Lukup Player S, it costs Rs.9000. Here is an complete review of the best TV steaming product called the Slingbox 500. So read this article to know more information about features, reviews and also the pros and cons of using Slingbox 500 as your steaming device for TV. Learn how to turn your normal TV into a Smart Android TV. A cheaper and efficient way to turn your LCD TV into an internet enabled Smart TV is described here. The day to day developments in Science do many wonders in our life especially through path breaking electronic devices / gadgets. Right from a heavy mobile phone to the evolution of smart phones, nobody would have missed the glimpses of advancements made in telecommunication technology with dazzling galore of display of Smart phones. In this article, I shall discuss about one such product which is revolutionizing the electronic industry viz., Slingbox 500. Please read on.